Join the discussion on our forums! 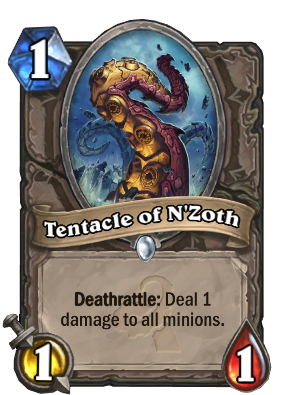 Come discuss Tentacle of N'Zoth over in our dedicated Tentacle of N'Zoth discussion topic. Deathrattle: Deal 1 damage to all minions. Because EVERYDAY is the Day of the Tentacle of N'zoth. A deathrattle card? 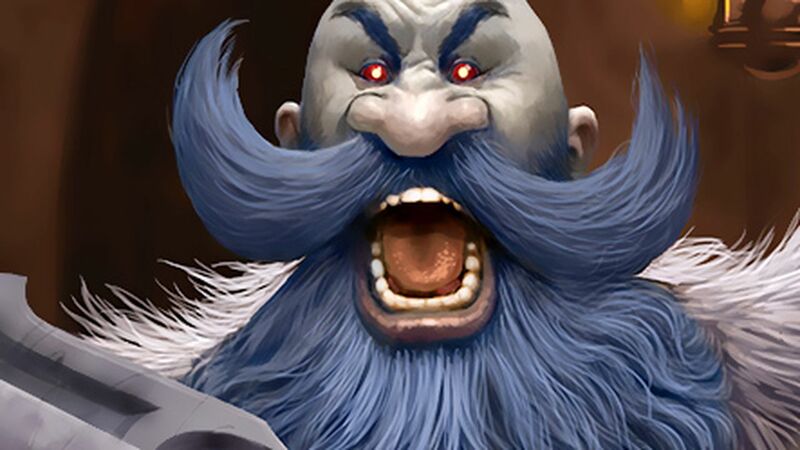 I think we should wait for Naxx to come out first before we judge how good it is. Kappa kappa keepo kappa fappa slappa. Poor face hunter. There's no love for 1-health minions is there? I'd be fine with my enemy silencing a 1/1 for 1 minion. "PUT YOUR FAITH IN THE LIGHT!" Well, it makes the artwork make a lot of sense. Silver Hand Recruits struggling to fight N'Zoth's Tentacles. I'm...actually optimistic about this card. Great against decks that swarm the board with tokens or just 1-health minions (Leper Gnome). Is it amazing? Not really, but good enough that maybe it will see play in some decks (Hey, if Explosive Sheep saw play, I think this has at least a small chance too, even if it does 1 damage less on the deathrattle). This expansion is giving good cards (unlike TGT ) but there are so many reprints ( save for C'thunrelated cards and 0 mana cards ). "So many reprints" - we've seen fewer than two dozen cards released so far. I don't think you're using the word "many" correctly.